Doing nothing IS having a position. Always remember that. 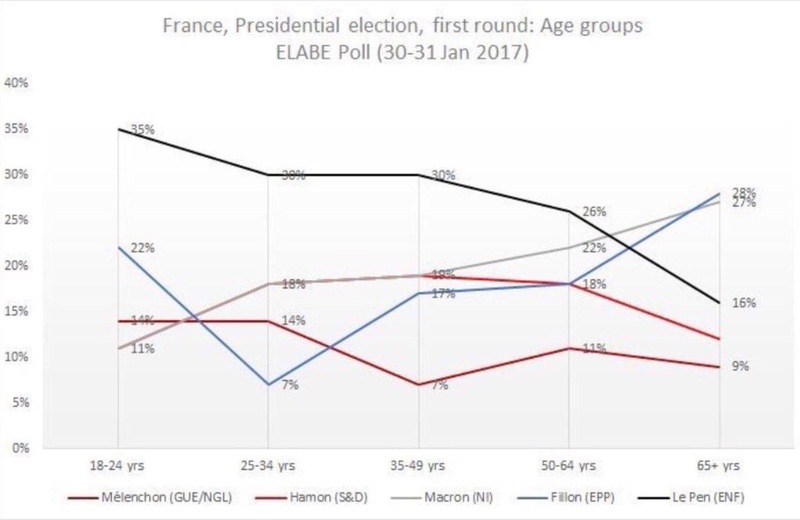 The young are voting for Marine Le Pen more than any other age group. Why? With the election just around the corner, I think it’s time to reflect on the next stage of the populist movement. We’ve had it in the U.K. with the referendum, the US with Trump’s win (God help us), and Italy with the downfall of Renzi. In the link above I described the rise of populism and why Trump won. That is specific to the US. However now I feel that a more pressing issue for the future of the EU and Eurozone is on the horizon with the French election. If you have been following my articles recently, you’d know how much I dislike the Eurozone. Have a read of that article before proceeding if you haven’t already. So with what you’ve just read in mind, let’s take a look at this first point. Marine Le Pen, the far right National Front leader, has most support from the youth according to polls. Many after the UK referendum said that the old had decided the future of the UK – this time, the young in France are fuelling the populist movement. The National Front are obviously abhorrent, but this is not the point here. The point is to understand the rise in right wing thinking. And amongst this age group, it’s very easy to discern. Note the trough between 1998 and 2004. That is the year 2002. Franchise introduced the Euro on Jan 1, 2002. 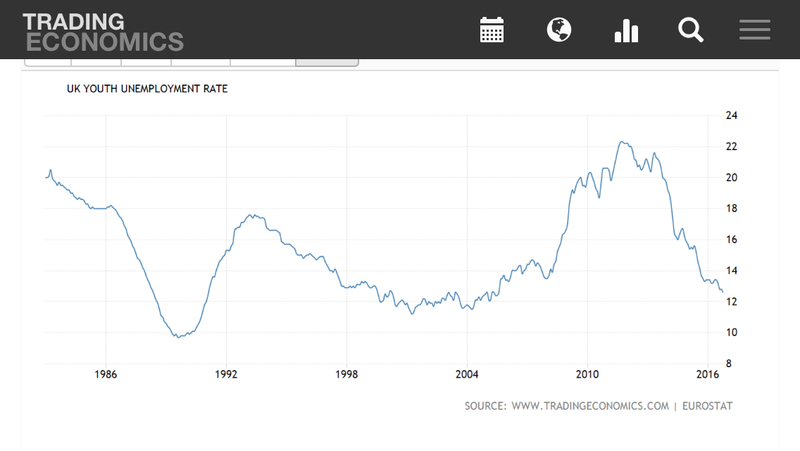 Since then, youth unemployment has increased steadily year on year. Youth employment tends to be more low skilled. This means that companies that can produce for a lower cost base elsewhere within the EU will relocate and take advantage of the single market opportunities of free trade and transfer pricing far more easily than age groups where you are more likely to have higher skilled workers. Alongside this, having fixed monetary policy across varied economies means that there is no way for countries to remain competitive via exchange rate devaluation. This gives rise to labour market supply shocks, such as the one we are experiencing in the French youth market where demand for this age group is highly elastic. The problems in France remains structural. Here’s what Moody’s had to say when they downgraded France’s credit status last year. I am highly critical of Quantitative Easing’s effects, but I’m not so critical of the ability of a state who can govern its own monetary policy long term. 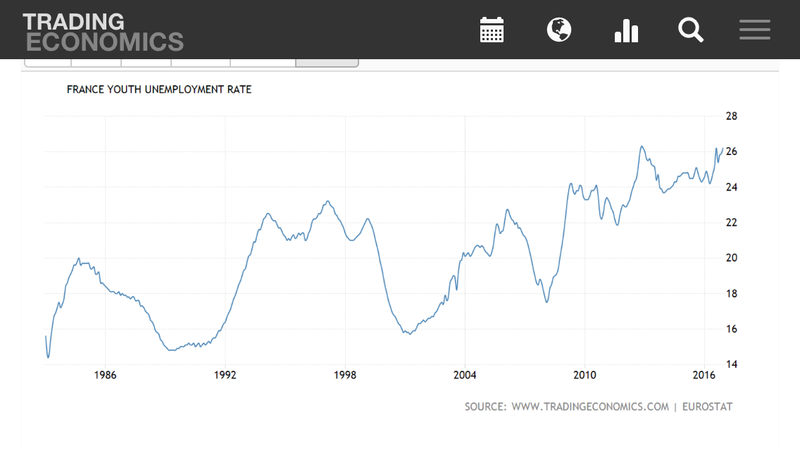 The chart for U.K. youth unemployment is below. We do not necessarily have a structural unemployment problem since we are able to have the relative (to EZ countries) flexibility to absorb demand and supply shocks caused by downturns. This is why we have recovered pretty quickly post 2008. I know there are certain measures that may muddy these stats such as zero hour contracts and part time work, however this would not cause the huge disparity between the UK’s youth unemployment levels and France’s. When we talk about populism, we must not disregard certain racist agendas. At the same time, we must maintain an understanding of why thinking changes. Nothing happens ‘just because’; you can always find a root cause. I tweeted this last night – SPX in blue, VIX in red and the VVIX in green. Price velocity of the SPX has been rising while the VVIX and VIX have been falling over Q4 of 2016. @DavidBelleFX I wonder if the VIX index is increasingly falling, because the VXX ETF is even falling, when the VIX had risen the last weeks. @DavidBelleFX The VXX is falling, because of decay rates. The 2x VIX Short Term ETN (TVIX) had a monster 1-for-25 reverse split last year. You’d have expected the VIX to rise due to an increase in the US base rate, which would cause volatility increases but this hasn’t happened. An introduction of the risk free rate should lead to a flight from higher risk assets to holding cash in an account (technically). This hasn’t happened. SKEW – $VIX ratio nearing one of the highest levels in 27 yrs. I’m bored of saying that something is coming but it’s best to be aware of a few different events and when there is a feeling of complacency then there could be an issue.